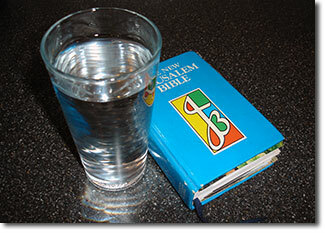 Fasting has been used as a way of coming closer to God from the very beginning of the Church’s life. However, it’s no longer as common as it used to be. In reality, its power can only really be understood by doing it. Even so, some useful things can be said. I’ll use myself as an example here - maybe you’re more perfect. I feel encouraged by the modern world to be self centred. To look after number one. To get what I can and to keep it, insure it, lock it up. I know that my treasure should be in heaven, but my way of living - including eating what I want, more than I want - distracts me from being focussed on this goal. Making a deliberate decision to eat less or nothing for a day is a way of asking for purity of vision. It may seem strange, but God always responds to this request.